Remain secure, and may all his aspirations for the benefit of the teachings and beings be fulfilled. 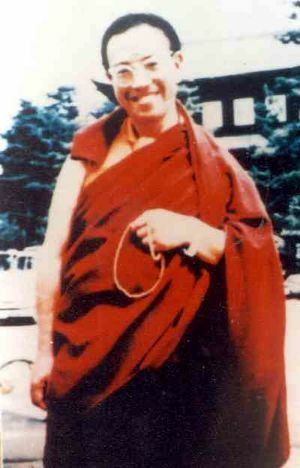 According to the requests of Sogyal Rinpoche and the Rigpa Sangha in Lerab Ling, made together with the support of an offering, and out of my own feelings of devotion and inspiration, I, the one named Ngawang Chökyi Lodrö, who bears only the outward signs of a buddhist monk, made this aspiration and wrote it down on the 6th day of the 10th month of the Wood Bird year (7th December 2005). Jayantu! This page was last edited on 16 August 2008, at 08:33.